This procedure is performed by the Veeam Backup Administrator on the Veeam backup server. Import encrypted tapes to the Veeam backup server. Select the imported tape and click Specify Password on the ribbon or right-click the tape and select Specify password. In the Specify Password window, click the I have lost the password link. 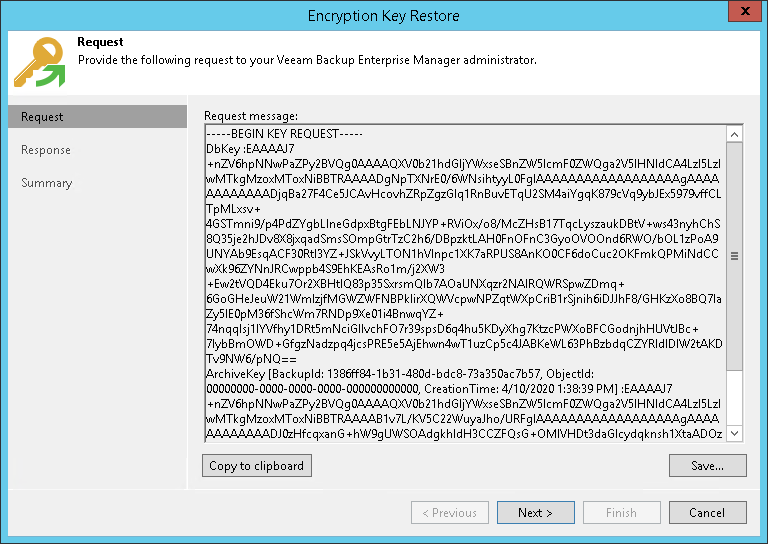 Veeam Backup & Replication will launch the Encryption Key Restore wizard. At the Request step of the wizard, review the generated request for data recovery. Use buttons at the bottom of the wizard to copy the request to the Clipboard or save the request to a text file. Send the copied request by email or pass it in any other way to the Veeam Backup Enterprise Manager Administrator. 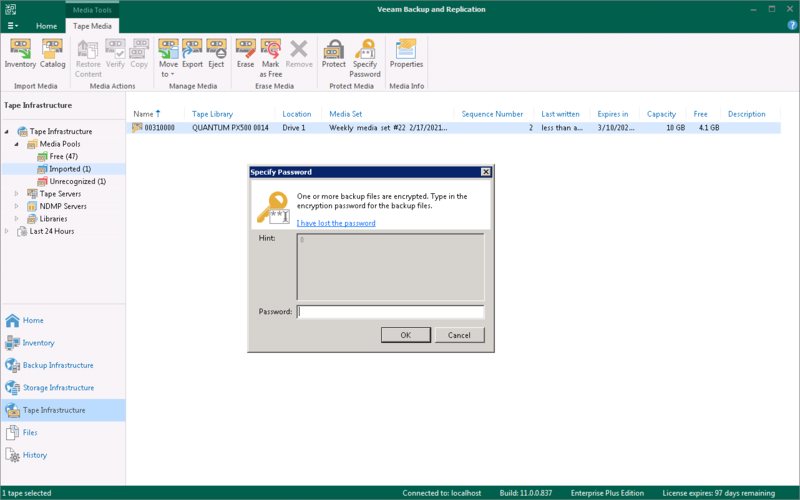 You can close the Encryption Key Restore wizard on the Veeam backup server and start it anew when you receive a response from the Veeam Backup Enterprise Manager Administrator.